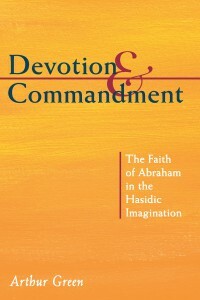 Now available in paperback, Arthur Green’s Devotion and Commandment uses the Hasidic debate on the patriarchs and the commandments as a point of departure for a wide-ranging consideration of the relationship between piety and commandment in Hasidic Judaism. The result is a series of remarkable mystical defenses of the commandments and an original contribution of Hasidic thought to the ongoing history of Judaism. Hava Tirosh-Samuelson shows that happiness is an important concept in Jewish discourse from antiquity to the seventeenth century. Notions of happiness are rooted in the intellectual culture of a given period, including cultural exchanges among Judaism, Islam, and Christianity. Demonstrating the discourse on happiness as a dramatic interplay between Wisdom and Torah, between philosophy and religion, between reason and faith, Tirosh-Samuelson presents, to specialists and non-specialists alike, a fascinating tour of Jewish intellectual history. 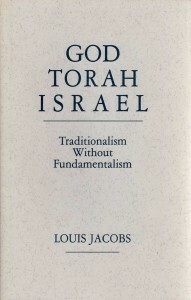 In these three lectures, the eminent British rabbi and theologian Louis Jacobs defines and defends his position as a liberal supernaturalist and halakhic nonfundamentalist in those areas where the religious Jew is confronted with the conflicting truth claims of modern knowledge and traditional belief. Jacobs begins by contrasting the theistic belief in a personal God with some of its alternatives. The second lecture explores the impact of modern science and scholarship on the doctrine of Torah min hashamayim. In the third lecture, Jacobs discusses traditional interpretations of the doctrine of the Chosen People. In the last twenty-five years, the effort to understand the ways of others has reinvigorated religious discussion on many levels. We have entered what has been described as the “Age of Dialogue.” But what should be the nature of such dialogue? And what should be its goal? What exactly is the proper relationship between different communities of faith? In this book, Sandra B. Lubarsky offers some new answers to these timely questions. 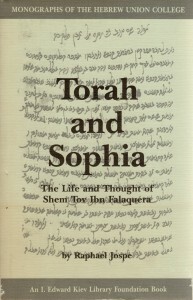 Raphael Jospe’s exhaustive study of the life and thought of Shem Tov ibn Falaquera provides students of medieval Jewish and Islamic philosophy for the first time with a systematic and comprehensive presentation of Falaquera’s philosophy. 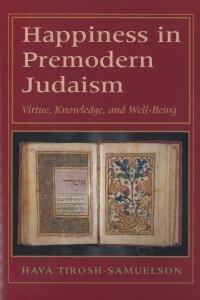 The book also offers a critical Hebrew edition and annotated English translation of Falaquera’s systematic psychological study, Sefer Ha-Nefesh (Book of the Soul), as well as a critical and annotated edition of his previously unpublished ethical work, Shelemut Ha-Ma’asim (Perfection of Actions), and — also for the first time — the surviving fragments, with English translation, of Falaquera’a Bible commentary. Traditional theodicies, the strategies which seek to reconcile the co-existence of God and evil, fail more on moral than on logical grounds. 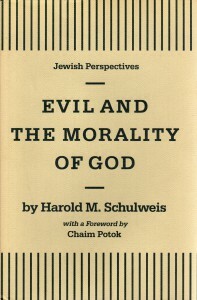 What Schulweis calls Subject Theology deprecates the moral understanding of good and evil and leaves in its wake a deity devoid of those recognizable moral features found in the biblical and liturgical tradition of monotheism. After analyzing the idea of perfection which underlies the arguments of traditional theology, Rabbi Schulweis proposes a predicate theology, another way to understand God and the problem of evil. As a seat of liberal Judaism in the modern world, the College also has a special relation to Spinoza and his enterprise. It is an heir to what we may call his positive vision. For wherever freedom of inquiry exists to encourage the critical study of the Bible and Israel’s past in conjunction with reasoned reflection about God, man, and the natural world, Spinoza’s legacy remains alive. 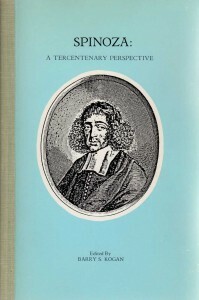 In order to examine that legacy properly, HUC-JIR organized a symposium to discuss Spinoza from a tercentenary perspective, and the proceedings of that symposium are published here. 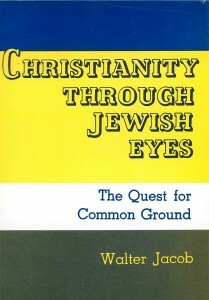 This book presents a historical and critical study of the most significant modern Jewish thinkers on Christianity. 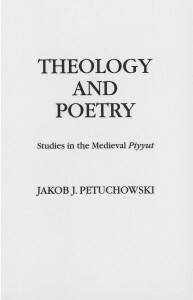 The writings of more than a score of leading modern Jewish philosophers and theologians from Moses Mendelssohn to Emil Fackenheim are carefully analyzed. Although Judaism and Christianity have existed side by side for nineteen centuries, the Judeo-Christian dialogue is a phenomenon of the last two centuries. During much of the earlier period, polemic was the only acknowledgement of co-existence. Both Judaism and Christianity have moved hesitatingly toward dialogue, and this volume tries to trace those steps. 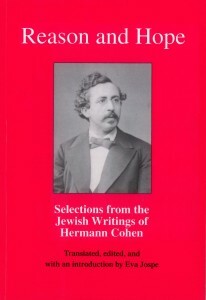 The 19th century neo-Kantian philosopher Hermann Cohen has provided significant underpinnings for understanding Judaism as a religion with a rational and universal character, as a religion of hope for the future. 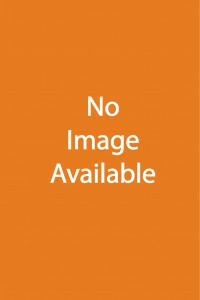 Eva Jospe translates, introduces, and presents commentary on eight selected essays that constitute an introduction to Cohen’s thought. 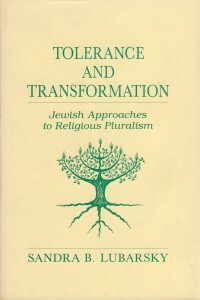 This reprint edition comes more than twenty years after the book’s first publication and remains a valued resource for introducing scholars, students, and lay readers alike to the work of this important Jewish thinker. The religious philosophies of Maimonides and Abrabanel differed radically from one another: the former is an apex of Jewish rationalism and naturalism; the latter, a faithful adherent of rabbinic Judaism and miracles. Maimonides and Abrabanel on Prophecy attempts to detail the confrontation that takes place in Abrahanel’s Commentary with respect to his exposition of Maimonides’ theory of prophecy. This confrontation is truly a dialogue between two systems, for despite the fact that Maimonides was long dead when Abrabanel wrote his Commentary, Maimonides’ thought is presented as still alive and vibrant.